Welcome to the New Child Care Aware of America Support Center! Why is NDS Asking if I'm Not a Robot? Help NDS Help Desk Help You! 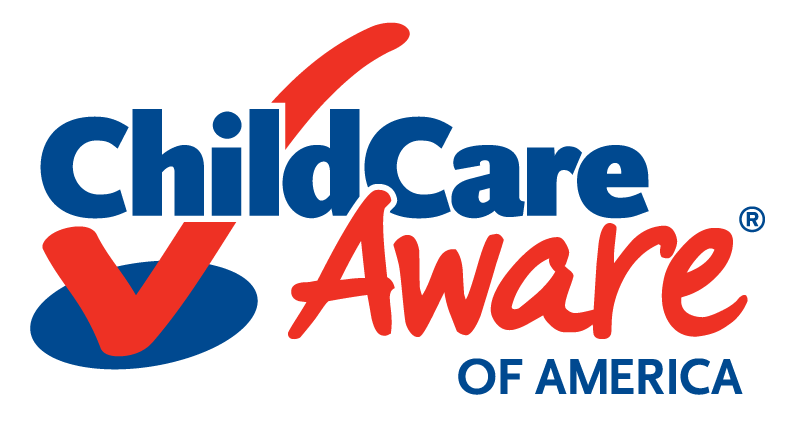 What is the Child Care Aware® of America Data Services Suite? The NDS suite is a collection of applications CCAoA created based on feedback from the field which addresses the needs of its members and supports the long-term strategic goals of CCAoA. What are the key advantages of NDS? Will ultimately become one system that manages training, referral and technical assistance as well as provide easy documentation, data collection and reporting for funders and stakeholders. The NDS suite includes the National Data System for child care, online provider services, online referral services, child care online, training tracking, and technical assistance management. In addition, the Help Desk provides basic technical support. How does NDS differ from the National Data System for child care? NDS is a suite of services rather than a single application. The National Data System, CCAoA’s flagship application, is included in the suite. Applications to track training and provide enhanced online referrals for families are also included. Can we only get the National Data System? No. CCAoA no longer provides the National Data System as a single or stand-alone application. What are the user requirements of NDS? Basic computers and Internet access (high-speed Internet recommended). CCAoA agency members who have purchased NDS and submitted a license agreement can use the Suite. Agencies with a separate Federal Employer Identification Number (EIN) sharing a database within a region/state must be a CCAoA member and maintain a license agreement. How do I get NDS? NDS is a benefit available only to CCAoA agency members and membership dues must be current. Once CCAoA membership is established, visit our forms page to download the NDS License Agreement. This information must be printed, signed and mailed to CCAoA. License fees can be submitted with the agreements or the agency can request an invoice. Once CCAoA has received the license document with payment, the agency will receive an email confirmation with instructions on how to access and configure NDS. My agency has never purchased a license for the National Data System or NDS. What are my fees? First time licensees can purchase an all-inclusive license for their first year which includes the license for all services in the NDS suite. Hosting and storage are also included for that program year (July 1 – June 30). This fee is not prorated. Please refer to our Pricing Schedule page for more information about first time fees. My agency has already purchased the National Data System or NDS. When can I expect to receive annual invoices for NDS? Invoices will be mailed to the person listed as the agency contact in June of each program year. What is a license reactivation fee? When does this apply? After purchasing a license for NDS, the licensee is responsible for maintaining the agreement through an annual license fee. If the annual agreement isn’t maintained and fees are not paid for a year, the agency will need to reactivate its license through a reactivation fee. For more information about the reactivation fee please refer to the Pricing Schedule. What are the dates of each program year? The program year, or the period of service your NDS fees cover, is July 1 – June 30 of each year. When does the fee schedule get revisited? The fee schedule is reviewed in January for the next program year. NDS fees are set to ensure that revenue supports the ongoing work for our membership. The schedule will be available to licensees no later than May 31 of each program year. Is there a refund of any fees once they are paid? No. Once fees are paid for a fiscal year (July 1 – June 30), no refunds are issued for any unused service during the year. Annual license and additional user fees are not prorated; however, agencies coming on after January 1 only pay half hosting and storage costs for the period January 1 – June 30. Why do we receive two invoices from CCAoA? Because NDS is a resource available only to members, each agency is billed for CCAoA membership dues covering January 1 – December 31. A second invoice covers NDS fees for the program year, which runs from July 1 – June 30. When do I need to notify CCAoA if we need to make changes to our account for NDS (such as merge, split or cancel requests)? Agencies are required to notify CCAoA in writing of their planned changes to their NDS accounts. CCAoA accepts change requests in six (6)-month periods. Agencies must provide written request to change their NDS services by May 15 of each year to change their services for the entire program year (July 1 – June 30) or by November 15th to change their services for the 2nd half of the program year (January 1 – June 30). Failure to provide written notification to CCAoA will result in billing for the next billing period. What do I need to do if I need to terminate my NDS service? Agencies are required to notify CCAoA in writing of their planned termination of NDS services. CCAoA accepts termination notices in six (6)-month periods. Agencies must provide written notification of termination of services by May 15 of each year to terminate services for the entire program year (July 1 – June 30) or by November 15 to terminate services for the 2nd half of the program year (January 1 – June 30). Failure to provide written notification to CCAoA will result in billing for the next billing period. How are the hosting and storage fees calculated? Hosting fees are based on the number of unique active and inactive providers in the system. Storage fees are based on the total number of records across the system. On April 1 of each year, CCAoA runs a report to calculate each agency’s hosting and storage fees. Agencies should delete unwanted records prior to this date to avoid having them included in the total counts for billing. Is it possible to delete inactive providers and clients from our National Data System database so they don’t add to our fees? Yes, we have a utility which allows us to remove inactive records. The utility is run by the CCAoA development team. Use the National Data System data support request form to submit your request. CCAoA will export the data into a file containing the inactive records. The data file will be delivered to the agency via e-mail, CD or FTP services. The inactive records will then be deleted from the agency database. Will I be able to specify which inactive records are to be deleted? Yes. You will specify the date range on the data request form. Do you charge a fee for removing inactive providers? No, there is no cost to the agency. What if I want to restore the inactive records that have been deleted with this utility? Yes. This request will be billable at current advanced support rates. For more information about these rates please refer to the Technical Support page. Is there a fee for restoring the records that have been deleted? What if we have a past due amount for our NDS fees? All payments for NDS services are due within 30 days from the date of invoice. (Invoices for NDS services are sent around June 1 of each year.) Unpaid accounts over 90 days are subject to service interruption until the account is paid. Unpaid accounts over 120 days are subject to service termination. Can our agency set up a payment plan? Agencies who have a NDS bill over $3,000 can set up a quarterly payment plan. CCAoA will charge the agency a flat fee of $50 to set up the payment plan. What types of technical support are available under NDS? NDS offers technical support in two categories: Basic and Advanced. In order for support to go through state or regional networks, member agencies within the network must submit a signed technical support contact agreement (PDF). Agencies that submit this agreement will be referred back to the designated state or regional point of contact. Advanced Support includes requests for data merging, data deleting, data transfer and items requiring access to the back-end database. Support also includes requests regarding database schema and design, custom installations, connections to third party program, archiving and customized database services. For which applications can I receive technical support? All applications in the Suite are covered – including the National Data System, Training Tracking, Technical Assistance Management, Child Care Online, Online Provider Services, and the Online Referral Module. What other support options are available? The help screens built into NDS answer many functionality questions. Monthly virtual trainings/webinars are also provided for staff and sessions are presented during CCAoA professional development conferences. Who can access Technical Support? Any employee of a licensed agency can call, email or fax the Help Desk for assistance. Outside professionals assisting an agency (web developers, IT professional, etc.) will need to be approved by an agency representative to contact us. How do I access Basic Support? Visit the Support Center, click “Help” in the bottom left, and complete the form to submit a ticket. Agency must be a current CCAoA member, annual fees for NDS must be paid, NDS agreement must be signed and Help Desk hours are Monday-Friday, 10 a.m. – 5 p.m. Eastern. How do I access Advanced Support? Please download and submit the Advanced Data Support request form (PDF). All fees will be discussed with the member agency before work begins.